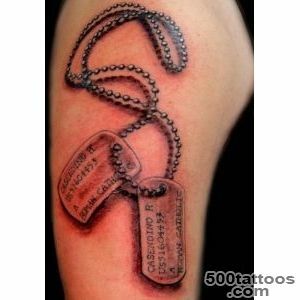 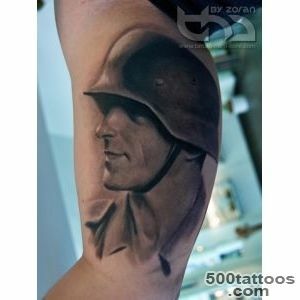 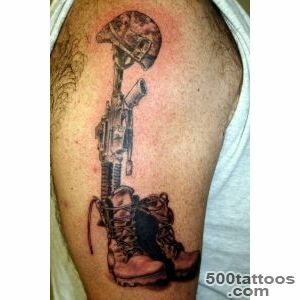 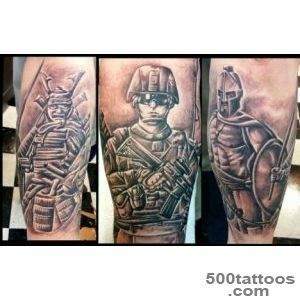 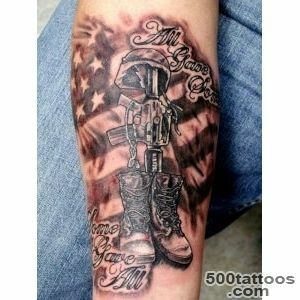 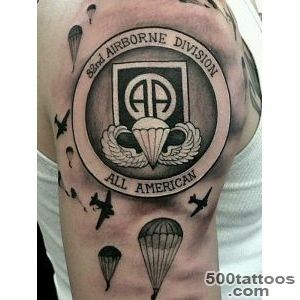 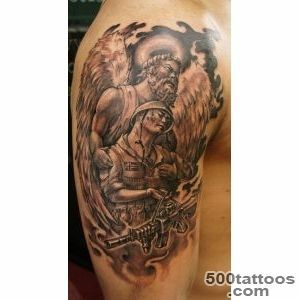 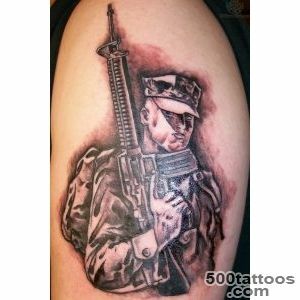 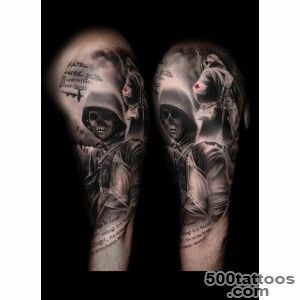 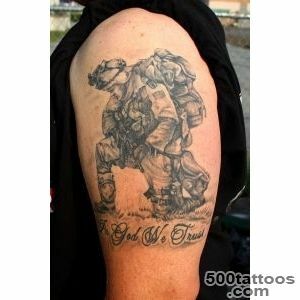 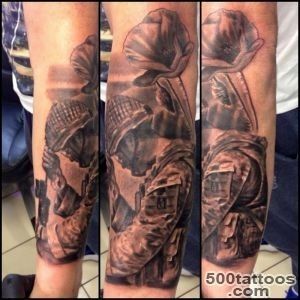 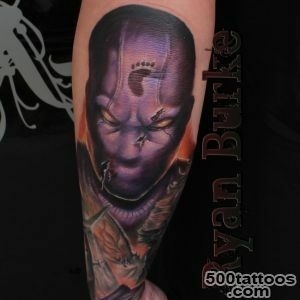 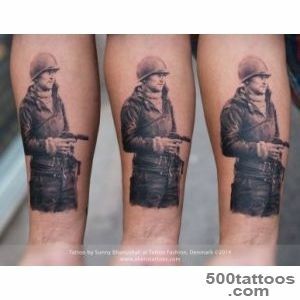 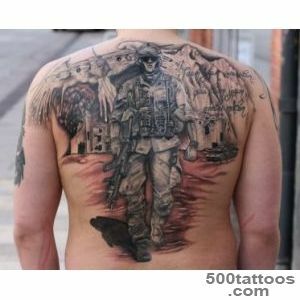 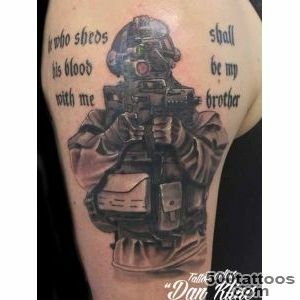 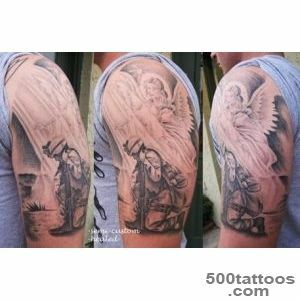 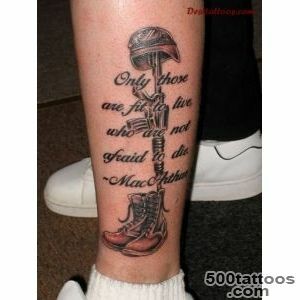 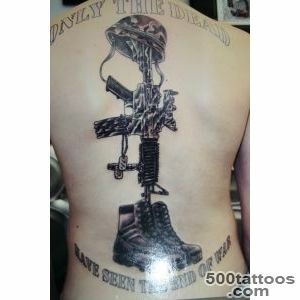 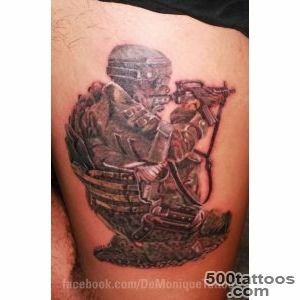 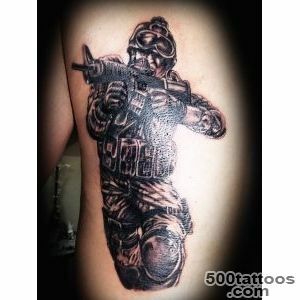 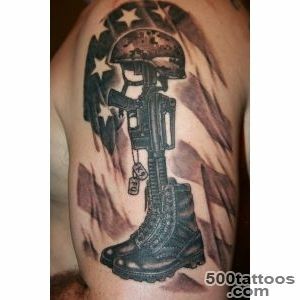 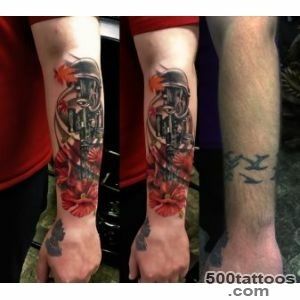 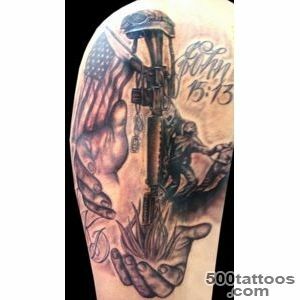 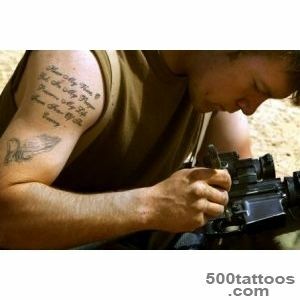 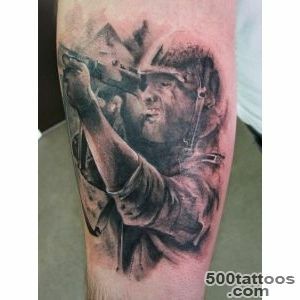 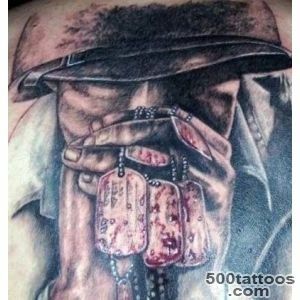 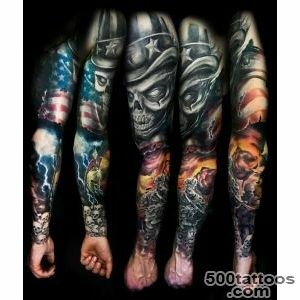 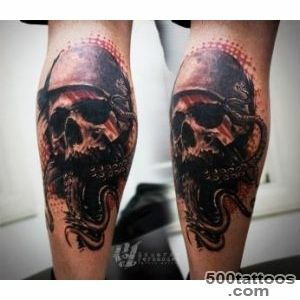 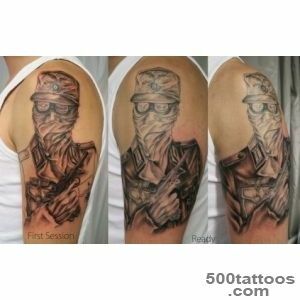 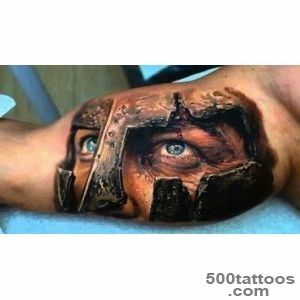 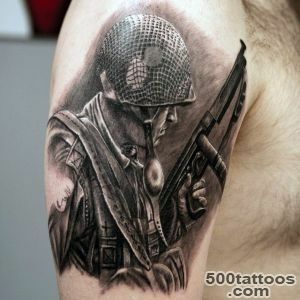 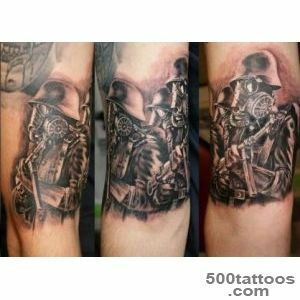 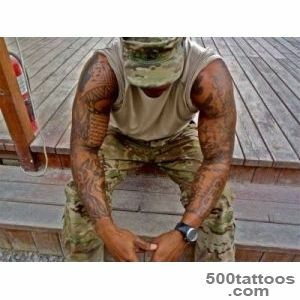 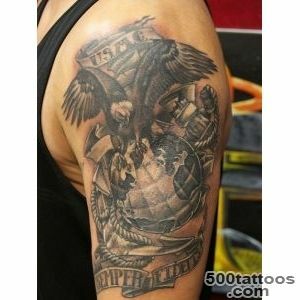 Tattoos depicting soldiers usually stuffed on the shoulder, chest and back. 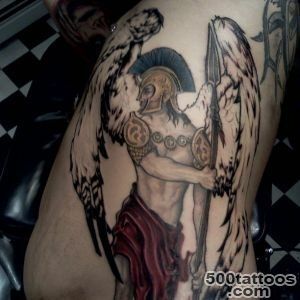 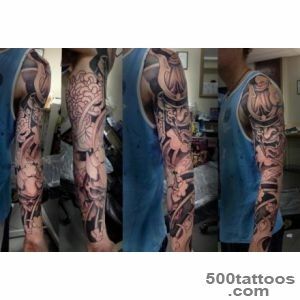 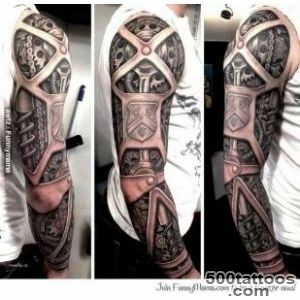 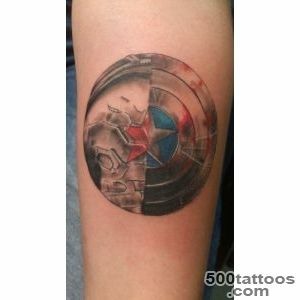 Basically it is a fairly large tattoo. 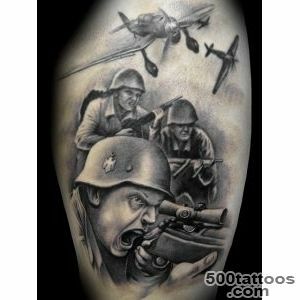 Such images are generally made ​​by people who were on the war. 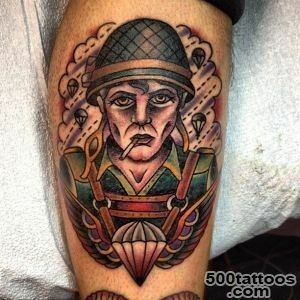 So sometimes prick is not abstract, but real people - colleagues. 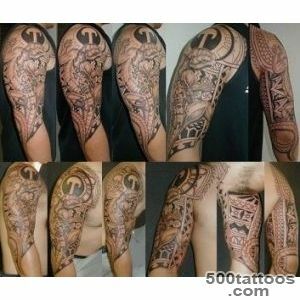 There may be one or more. 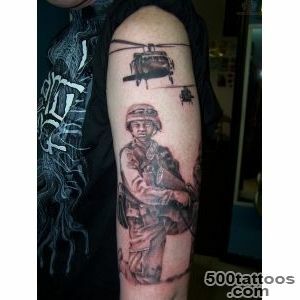 Sometimes,elderly people make themselves tattooed in his youth years. 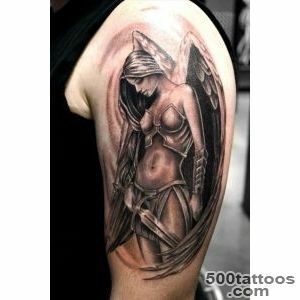 There are tattoos and female bodies. 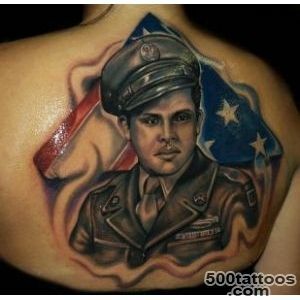 These are mainly portraits of loved ones who died in the war or are missing.